Norbert Wilson is no stranger to the AAEA Annual Meeting. Wilson got his first chance to share his research as an undergraduate at the University of Georgia. In 1992 he took part in the student paper competition. As a graduate student at the University of California, Davis, Wilson again went to AAEA meetings as a way to present research and make connections with colleagues. His experience at the meetings continued as a professor; and this year, at the 2017 AAEA Annual Meeting in Chicago, Wilson will become a member of the AAEA Board of Directors. He was elected by fellow members earlier this year. The shift to AAEA Board Member isn’t the only professional change in Wilson’s life right now. 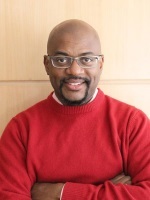 Wilson recently left his position of professor at Auburn University to take on a position as Professor of Food Policy in the Friedman School of Nutrition Science and Policy at Tufts University. Wilson says the shift from a small college town in the south to life in Boston has been “tough, but in a good way.” He talked about how it was difficult to leave a good place like Auburn but is excited to take on this new challenge.